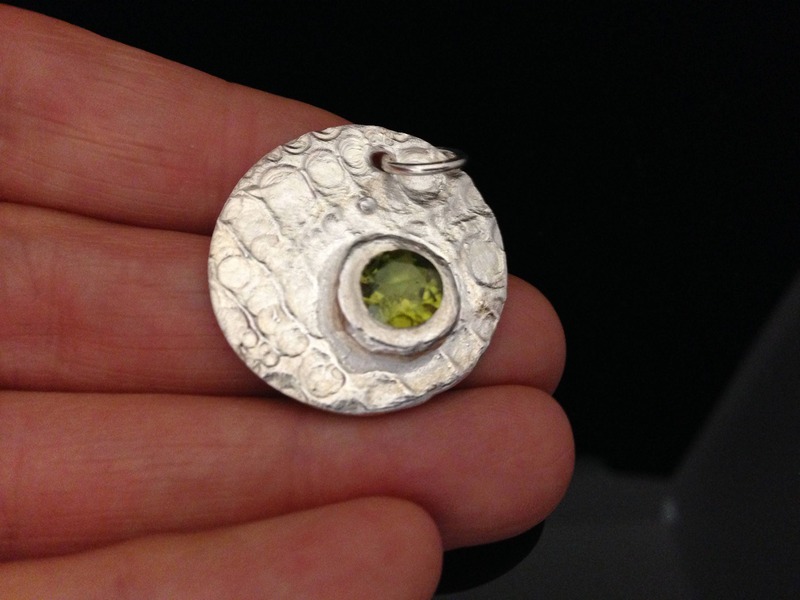 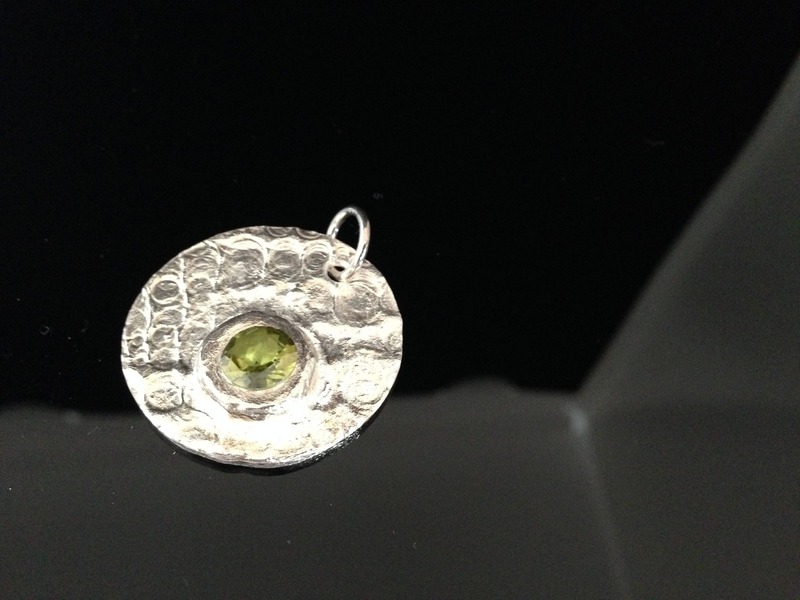 Fine handmade silver jewellery pendant with a peridot . 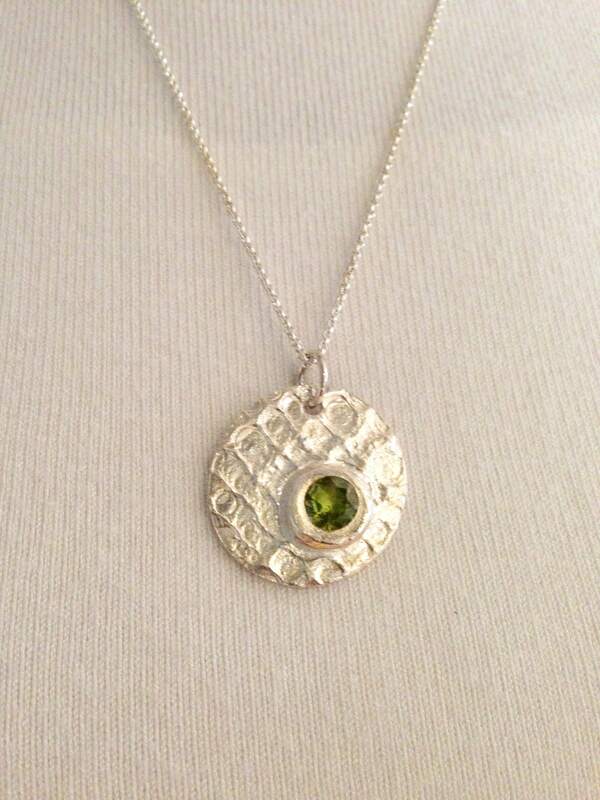 The price is together with the Sterling silver necklace. 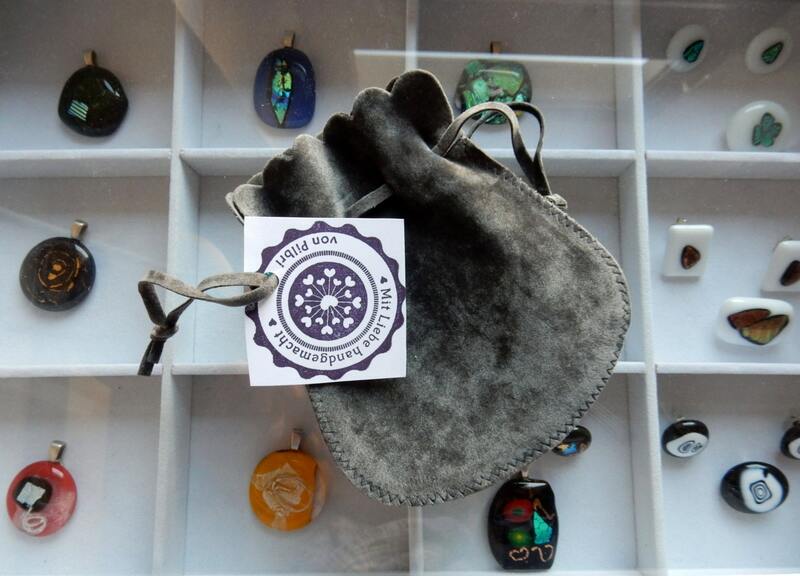 Loveely to wear with a jumper.